The ghost of this relationship remains in how pay phones often still work in situations when cell phones go dead. On the morning of September 11, for example, most of New York City was a cellular dead zone, but landlines still worked. Ironically, after September 11, pay phones with booths were often targeted for removal—as in the bank of sixteen phone booths in the Western Union Building at 60 Hudson Street. 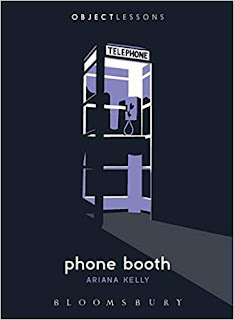 A “nerve center for several telecom companies,” the building became a potential terrorist threat, and while the phone booths had once offered valuable privacy and insulation, they now offered, in the public imagination at least, a perfect place for a terrorist to hide a bomb. A security guard needed to be dispatched every time someone needed to make a telephone call, which quickly resulted in the phones becoming off-limits for public use.